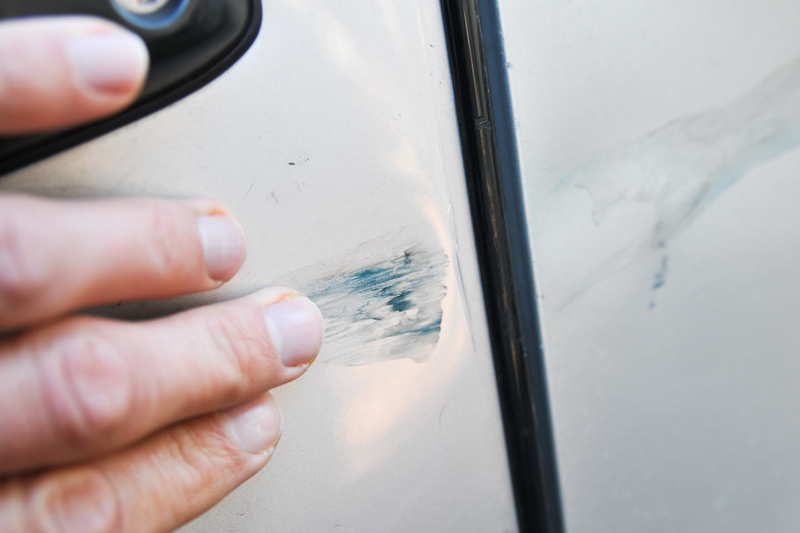 Scratches can make your car look ugly and cause rust damage. From light scratches that are barely noticeable to deep scratches down to the bare metal, you can repair them yourself. 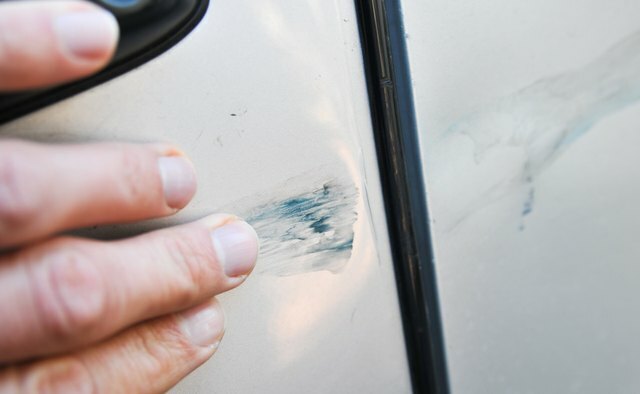 There are ways to repair scratches and prevent rust from forming, even if you don’t have much experience in body work or repair. Look at the scratch closely and run your hand over it. If the scratch can’t be felt, it hasn’t cut into the clear coat of paint. Get a mildly abrasive liquid rubbing compound and a clean microfiber towel. Apply the compound to the towel and rub the scratch back and forth across the scratch. Rub gently down the length of the scratch a few times, but concentrate more on moving across the scratch. This allows the compound to fill in the scratch and slowly break down the sharp edges that make up the scratch. Once you have done this for a few minutes, the scratch should be barely visible. Continue rubbing the compound across the scratch until it disappears completely. 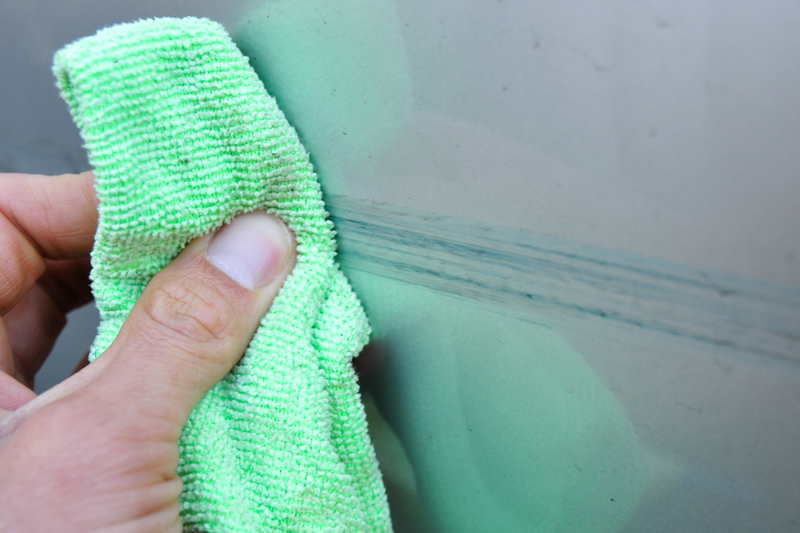 Once you are done, rub car polish over the area to bring out a shine, further reducing the appearance of the scratch. Do this by applying the polish with a cotton cloth and rubbing back and forth and in circular motions over the compounded area. Medium scratches can be felt by running your hand over them, but the scratch is not deep enough to reach the bare metal of the car’s surface. This type of scratch goes into the clear coat paint, but not the base color paint. This requires no touch-up paint for repairing the scratch. Begin by using an abrasive liquid rubbing compound and a dual-action orbital polisher. Apply the liquid compound to the pad on the polisher and place it against the scratch. Move the polisher back and forth and in small circular motions over the scratch. Check often to see that the scratch is becoming lighter. 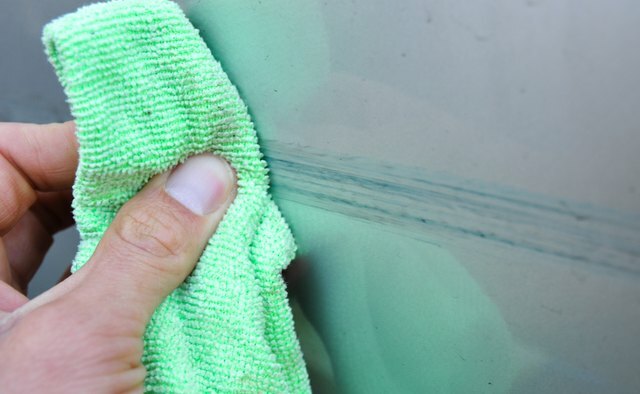 Once the scratch has been removed, or mostly removed, apply car polish using the same steps a small scratch would use. Deep scratches cut through the paint to reveal bare metal. This type of scratch requires sanding, painting and polishing to repair it completely and correctly. Begin by lightly sanding the scratch across and length ways with 300-grit sandpaper. Once the scratch feels smooth, apply touch-up paint to cover the bare metal. Use a Q-tip or tooth pick to apply the paint. Using an applicator brush can cause the brush strokes to show. 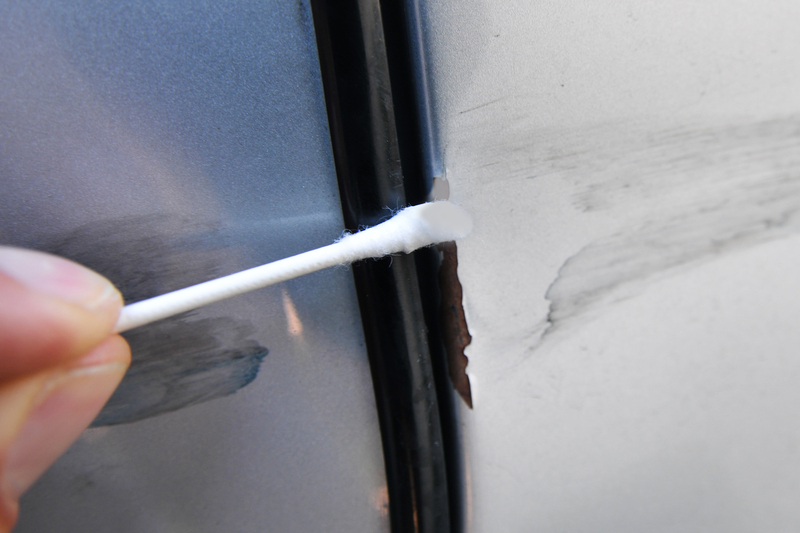 Build the paint up in the scratch so that it stands higher than the surrounding surface of the car. Allow the paint to dry for at least an hour before touching it. Sand the paint lightly with 800-grit sandpaper until it is smooth with the surrounding surface. Complete the repair by following the steps for a small scratch, using liquid compound and then car polish to bring the shine back to the sanded areas of the car.